When I went to Santa Clara (back when Ronald Reagan was US President), financial aid for international students was a much simpler topic to deal with: there wasn't any! Fortunately for me, my money made 20% sitting in a bank and I rode that tide to four years of undergraduate education. These days, the picture is (only slightly) rosier. More and more US colleges are offering some aid to foreign students but the fact remains that an American undergraduate education is still prohibitively expensive for all but the very wealthiest of Filipino applicants. American universities see foreign students as an asset; it's a way for them to diversify the student body. We bring a different world view to the classroom, as well as to the dorm room and the cafeteria. Because of this, universities actively court international students to enroll. For the most part, international students pay full tuition and board which is a great source of revenue for the universities. But they realize that the high cost of American undergraduate education (the cost of attendance at a typical American university can be over $60,000 yearly) makes recruitment difficult. Financial aid can be divided into two kinds: need based and merit based financial aid. Need based aid is doled out to students simply based on the student's ability to pay. If she can only pay a fraction of the cost of attendance, need based aid can be allotted to her to cover at least a portion of the balance. This is done regardless of her academic promise or ability. Merit based aid is the exact opposite, it is aid that is given based on the student's academic talent regardless of her ability to pay. I have a friend who is the former chief financial officer of Chase Manhattan Bank, a very well off fellow indeed. His daughter was such a great student that she got a full scholarship to Brandeis University in Massachusetts. Her parents pay nothing despite the fact that they could easily do so. Merit based aid is normally used as a bait to hook superior students to enroll at a university which these students would normally ignore. Most of the time, students (American or international) get a combination of need based and merit based aid. So how does a Filipino student like you go about applying for financial aid? 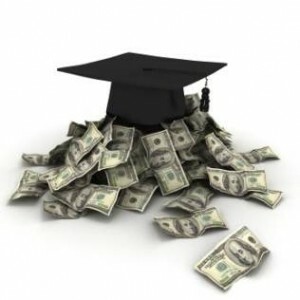 Normally, you declare on your application that you intend to seek financial aid. When the college gets this, they will either send you a form called the CSS Profile (from the same folks that brought us the much beloved SAT) or an in house financial aid application form. Either way, it will ask you about your family's financial situation in excruciating detail. Not a fun thing to do. You may want to get your family accountant involved. After you've filled out the form and substantiated your claims of poverty, the college will sit and determine how much they think your family should be able to cover of your college expenses. The difference between the college's cost of attendance and the figure they come up with for your family is what they call "determined need". For example, let's say your Beloved College has determined that your parents should be able to cover $20,000 annually. If the total cost of attendance at said college is $60,000 annually then your determined need is $40,000. Note, you and your parents may not agree that you can cover $20,000 but determined need is something the college determines on its own...it doesn't seek your input into the matter. The amount of determined need is what the college works with in deciding how much aid you should get. Some places admit students regardless of ability to pay. These schools are called need blind schools. We can see now that a school can be need aware but will guarantee to meet full need, need aware yet will not guarantee to meet full need, need blind but will not guarantee to meet full need and need blind and will guarantee to meet full need (the best kind). It doesn't take much to realize that the colleges that are need blind and guarantee to meet full need are rare...the most common schools are need aware and yet will not guarantee to meet full need. And when you start looking for schools that meet full determined need, remember to make sure that they do this for INTERNATIONAL STUDENTS. Most colleges will trumpet that they meet full guaranteed need....for US citizens and permanent residents only (written in very small type of course). And some universities even lie about their need blind and need aware admission status. Just a few days ago, George Washington University was caught with its hand in the cookie jar. They were secretly need aware when all this time they said they were need blind. So what am I trying to tell you? I'm trying to tell you that while financial aid is there, don't count on it to cover your American college dreams. For some very fortunate students, they will land coveted "full rides" and for some the aid offered by the university will be enough and that the students can cover the difference. But for a lot of students, it just won't work and their American college dreams will remain only that...a dream. 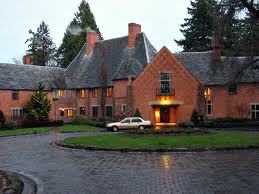 After all these years, an American college education is still a rich man's game. 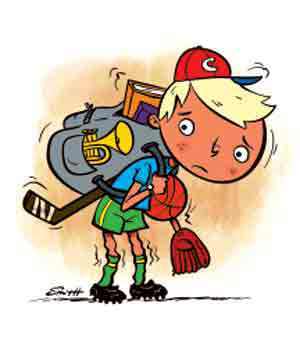 A parent once asked me, "What extra curricular activities (ECA) should my son be doing in order to become attractive to the most selective US colleges and universities?" I think this parent is barking up the wrong tree ; her question seems to imply that there's a hierarchy of extra curricular activities. Is Student Council more attractive than varsity sports? Will four year participation in yearbook culminating in a stint as editor in chief get my kid into Stanford? Should I bother with less "important" activities like dance, drama, and chess club? My answer: No...no...and yes! The thing to remember about ECA is that it helps the admissions committee of the college you are applying to know you better. It puts flesh in the application in a way that grades and SAT scores cannot. Is Alice an athlete? A student leader? A writer? Or is she a passionate reader? Answers to these questions help the admissions committee see how you fit into the incoming freshman class. That said, it's important to remember that ECA plays only a supporting role in your application so the fact that you were editor of your yearbook, captain of the basketball team and president of the student council will not, by itself, get you into Stanford (or any other school for that matter!) It might even hurt you because if you do too many ECA your grades may suffer...and *that* will matter to admissions committees. There is also no hierarchy of ECA. Student Council is not more important than chess club and it will not necessarily carry more weight with the admissions people. What's important is that ECA should reflect the student's interests and passions, more depth of participation rather than breadth. Said another way, it is far better to be involved in fewer activities and do those few with more vigor and leadership than to participate in a boatload of unrelated activities. 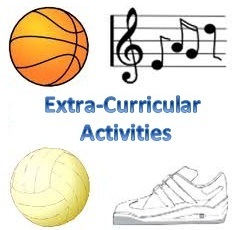 The usual pattern is to have the student explore a wide variety of activities in middle school and the first one or two years of high school then spend the junior and senior years honing in on a few activities that truly reflect her interests and passions. Again, it doesn't matter what those interests and passions are: it could be tennis, chess, public speaking, writing, church....almost anything! Admissions folks look favorably on students who take up leadership or achieve significant milestones in their ECA. If you're a Boy Scout, making Eagle Scout reflects dedication and drive, both important indicators of college success. A young man named Josh Waitzkin got into Columbia some years ago. I'm sure that the fact that he was a passionate chess player, won the 1993 and the 1994 US Junior Chess Championship and attained the title of International Master helped a lot! Admissions committees are also wary of students who try to fatten up their resumes by suddenly joining a raftload of activities in their junior year...and miraculously, being a leader or president in all of them. Don't overdo it. The best approach with ECA is to treat them as a way to pursue one's interests outside of school without worrying too much about how it's going to look to colleges. Finally, what if you have NO extra curricular interests besides sleeping and video games? Ok...as I said, your involvement in ECA should reflect your interests and if you have none to speak of, what are you going to do, right? As far as college admission is concerned, remember that ECA plays only a supportive role. A student who is otherwise academically admissible isn't going to be turned away just because he has no ECA. That said, your ECAs help you stand out in a sea of similarly qualified applicants. If you're applying to Harvard and you're thinking your 4.5 GPA and 2400 SATs makes you a shoo in, think again. You are just one of thousands of Harvard applicants with perfect grades and test scores. What makes you stand out? If nothing in your record makes you jump out among all the other students then don't be surprised if you get a thin envelope from Harvard at the end of March telling you thanks but no thanks. Put more concisely, your ECAs become more important when you are seeking admission to more selective universities, other than that, don't worry too much about it. Frankly, if you did not have any ECA, I'd be more worried about your sanity than your chances of getting into college! 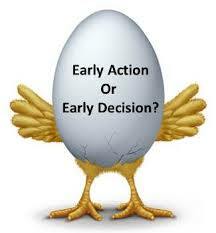 Early Decision, Early Action, Restrictive Early Action...Confused? With the looming deadline for Early Decision candidates, I thought it might be a good time to post about Early Decision/Early Action programs. It sure would be nice if you could find out before April whether or not you got into your top choice US college. Well, be careful what you wish for because you just might get it. For the right people and under the right circumstances, not only can you find out by Christmas (as opposed to April) whether you got in or not, but you might actually enhance your chances for admission by quite a bit. But you would be right to think that there has to be a catch and of course, there is! Which is why you need to understand the ins and outs of early decision/early action programs. Early Decision If you have a top favorite among your college choices and its admission application process has an early decision option, this might be a good move for you. In Early Decision (ED), you have to get your paperwork in much earlier than your fellow applicants. Typically, you have to get your completed application (which means your SAT scores, transcripts, teacher recommendations, your college essay, etc) into the admissions office by November 1, typically (three weeks away for the 2014 graduating class). Some schools have earlier deadlines, some later, so you'll need to check with the individual institutions to see what their deadlines are. You can apply ED to only ONE school and if admitted ED, you MUST attend that school. ED is binding and there's very little wiggle room. The only way to get out of a binding ED agreement is if the financial aid package isn't enough and you cannot afford to attend. In exchange, by applying ED, you are signalling that this school is your top choice (I choose you, Pikachu!) and the school will reward your interest by giving your application an early look and numbers do suggest that universities tend to fill up to 40% of their freshman class ED. Word of warning though to all you overshooters out there: if you are not in any way otherwise qualified to be admitted in April, then applying ED won't make a miracle happen. The decision will come before Christmas...around Dec 15. There are three possible results: you could be admitted, rejected or deferred. If you are admitted, then congratulations! You've been admitted to your first choice college and you MUST then withdraw your regular decision applications to our colleges. Since you are bound to attend this school, I would suggest that you take any opportunity to visit your new home and get to know your classmates by joining open houses. 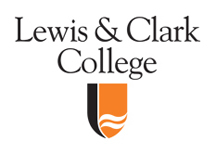 You should NOT apply Early Decision if a) you have no clear-cut #1 college choice b) you need financial aid and have to compare financial aid packages c) if you need your senior year grades to boost up your average d) if you will not have finished all your standardized testing by October of your senior year. Early Action (and Restricted or Single Choice Early Action) Early Action (EA) is similar to Early Decision in that your application will be due sooner and you get a decision before Christmas (admit, deferred or deny). But the big difference here is that Early Action is not binding; you do not have to attend the school that admitted you via EA. You don't have to let them know your final college decision until May 1 when all students have to declare where they are going. Sounds great, what's the catch? Well, since you are not bound to the school as you would be in ED, then your admission boost for applying early won't be nearly as great. Regular Decision Regular Decision (RD) is how most students go. Applications are usually due by beginning to middle of January, decisions come out in late April and student decisions about where they want to attend are due May 1. Obviously, there are no restrictions here, you can choose among all the schools that admitted you. Rolling Admissions Some of the big state universities do what is called Rolling Admissions. Under this program, applications are read and adjudicated as soon as the admissions office receives them. It's always a good idea to get your papers in as early as possible to a school with rolling admission since as the number of seats in the freshman class start to disappear as the year goes by, the committee becomes stricter and stricter about who gets what seat. Get everything in early enough and you might actually get a decision by Christmas which is like having an Early Decision admission without the commitment. However, for some really large schools (like Arizona State University), they don't fill their freshman class even after May 1 so you can still submit an application even at or beyond that date up to just about the beginning of classes. My own experience is that some Canadian universities have rolling admissions but they don't actually say so. My son Tyler applied to the University of Waterloo in Ontario, Canada and got all his paperwork in by early October. We had a (positive) decision just before Christmas. Again, it was like Early Decision without the commitment. Tyler had until June to accept Waterloo's admission offer (which he did). Still confused? Drop me a comment and I'll see if I can't help you out.